Note: This post was lost after the 2018 March - April server migration. It was originally posted on April 03, 2018. This fundraiser was designed by Rebecca "Bex" Mader for Lollipop Theater, a non-profit organization that "delivers the season’s biggest blockbusters while they are still in the theater right to those children and their families at the hospital, working with leading motion picture studios to bring the joy, magic, and momentary escape of the movies to those who need it most." Feodora: "You just watch where you put that hand!" 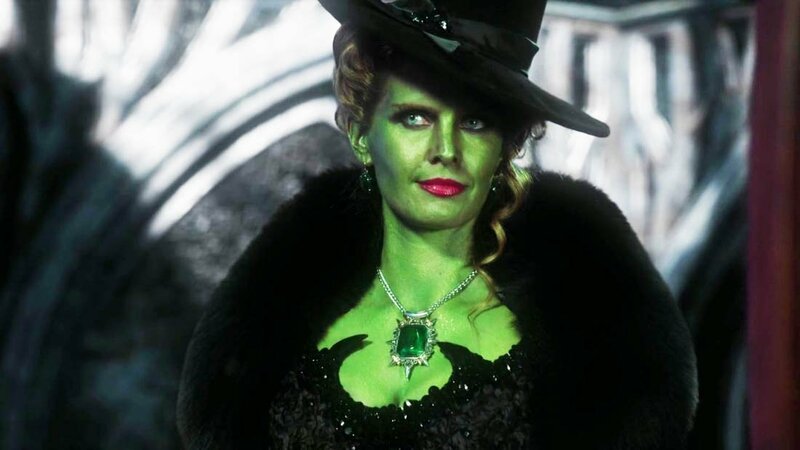 Rebecca Mader starred as Charlotte Lewis in the ABC series Lost, and as Zelena, the Wicked Witch of the West, on ABC's Once Upon a Time. Rebecca as Zelena, "Green With Envy"
Looking good ... and a little wicked .. for sure. Thank you for your kind comments! Feodora makes it easy to take good pictures. I am only there as 'filler', since Feodora clearly has me under her spell! When the tee shirts that I ordered come in, I will post pictures of us in them. For now, feast your eyes on "Bex"! Bex describes herself as a 'ginger'. That might be British for 'redhead', or she might just like the sound of it.